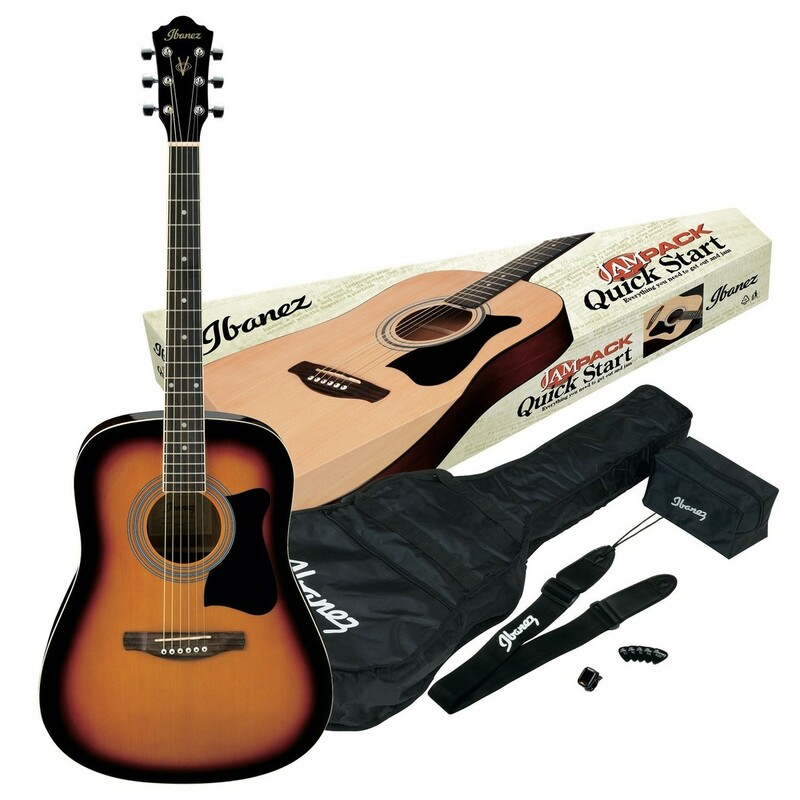 The Ibanez V50NJP Dreadnought Acoustic Pack 2018, Vintage Sunburst offers everything you need to start performing, featuring a high-quality instrument and accessories to start you on your journey to stardom. 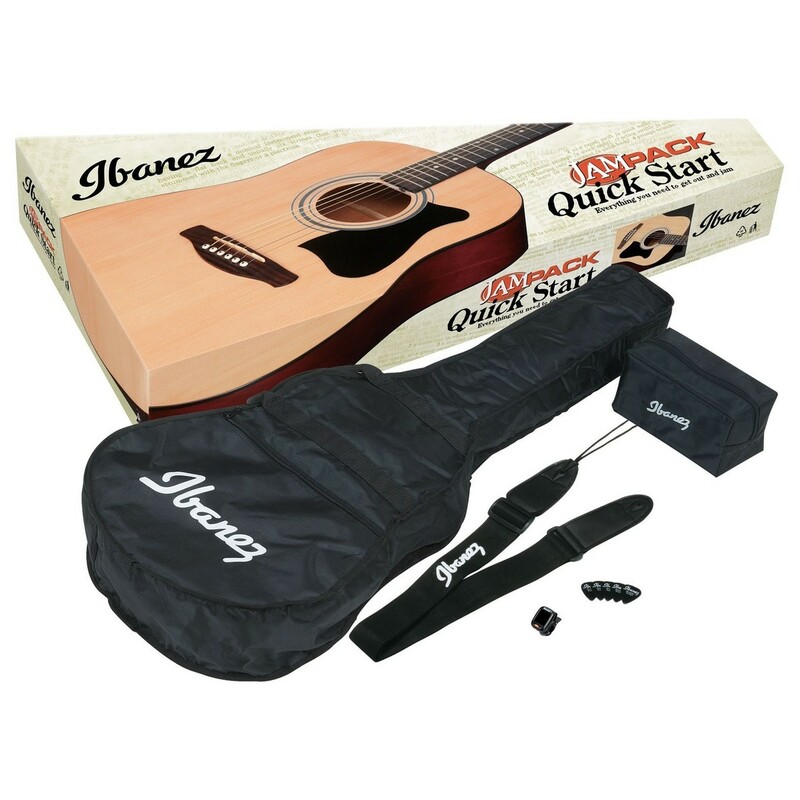 The Ibanez V50 Acoustic guitar features a spruce and agathis body coupled with a pine fingerboard, offering a beautifully balanced tone with plenty of sparkle and depth to accommodate a variety of musical styles. The V50NJP Pack also comes with a gig bag, strap, tuner, accessories pouch, and picks, ensuring players can start performing straight away. 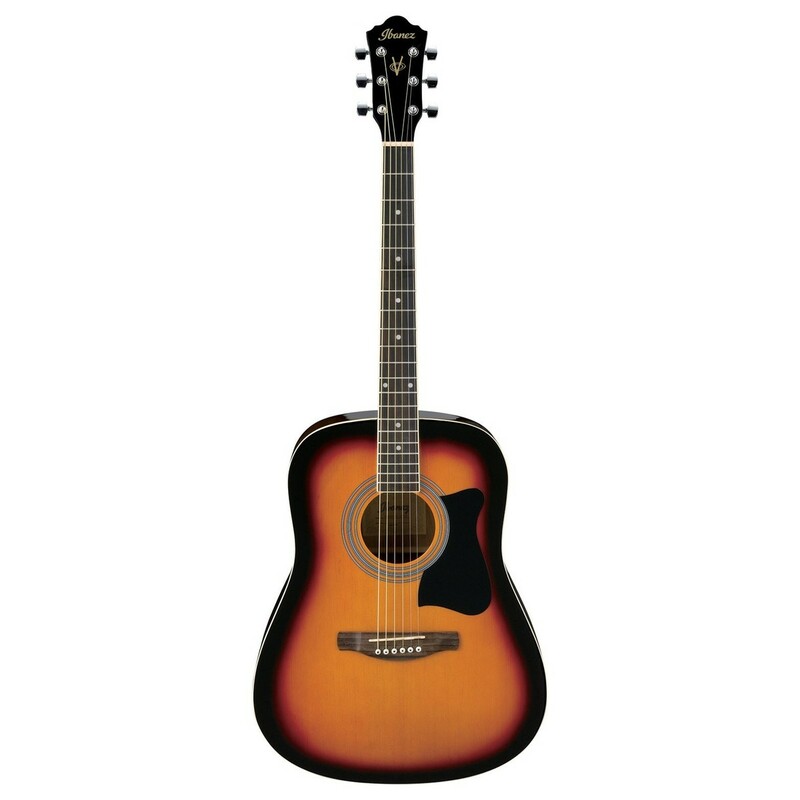 The Ibanez V50 Acoustic guitar features a lightweight agathis body and a spruce top, delivering a beautifully balanced tonal quality with plenty of sweetness and warmth to accommodate a variety of musical styles. Its New Zealand pine fingerboard offers players a comfortable performance, while enhancing the tone with sparkling highs and full lows. Its dreadnought body shape is perfect for players looking for volume and projection, with its large size suiting fingerpicking styles and players with plenty of reach. Have your guitar ready to take on the road in no time with this jam pack. Always stay in tune with the included clip-on chromatic tuner, and make sure you're ready to jam anytime with Ibanez’s set of high quality picks. The gig bag has comfortable straps, so you can take your V50 from venue to venue or to a friend's house, with its sturdy design protecting the guitar from the elements and while you travel from gig to gig. The pack also contains a handy little accessory pouch, letting you keep everything you need in one place.